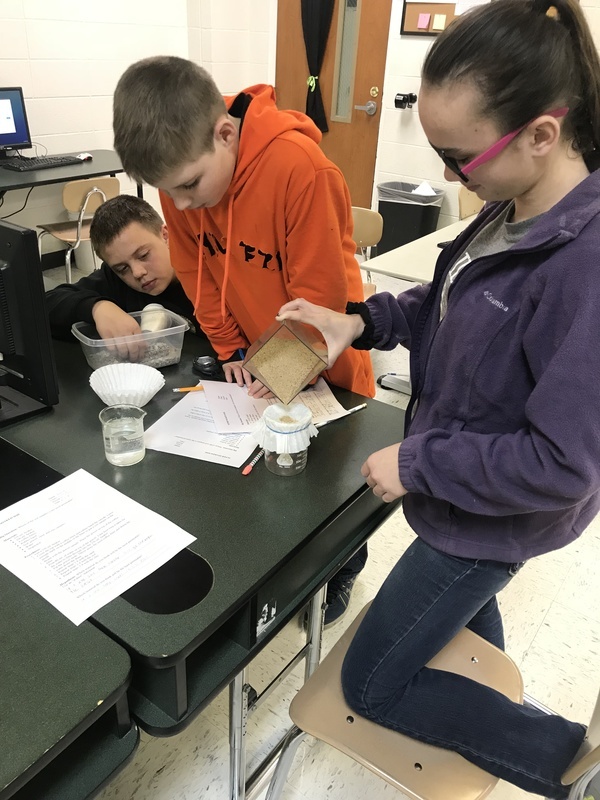 Ms. Blankenship’s 6th grade science classes have been studying about soil. They have studied the different soil horizons and the major types of soil. 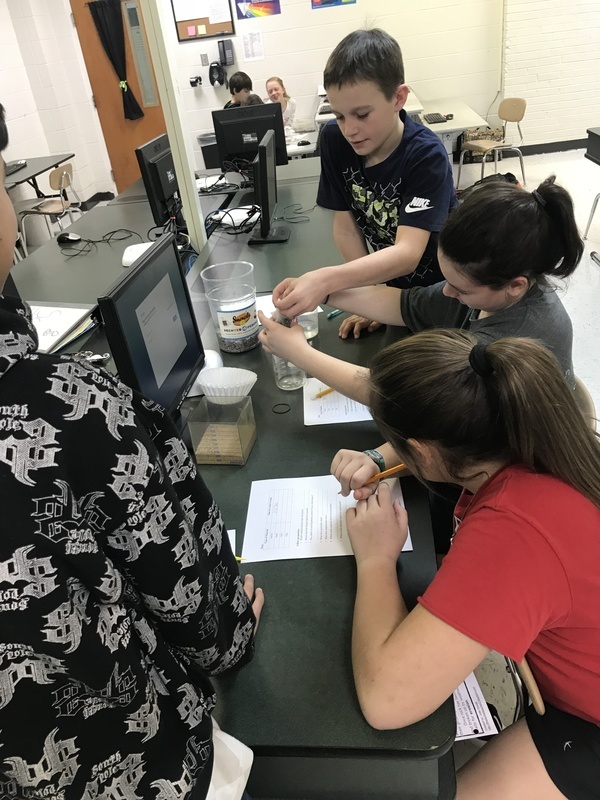 In this lab activity students were asked to find out which type of soil would be best to put at the bottom of a pond. 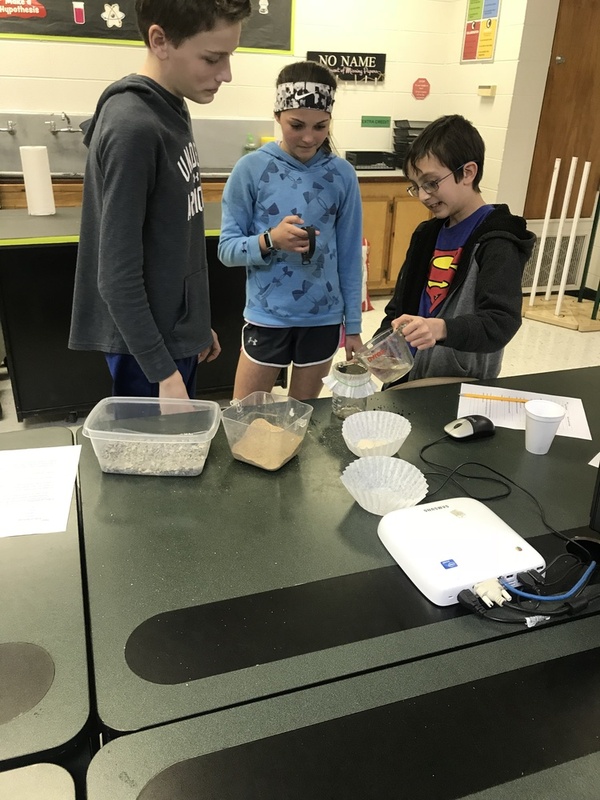 Students tested the permeability of gravel, sand, top soil, and clay. 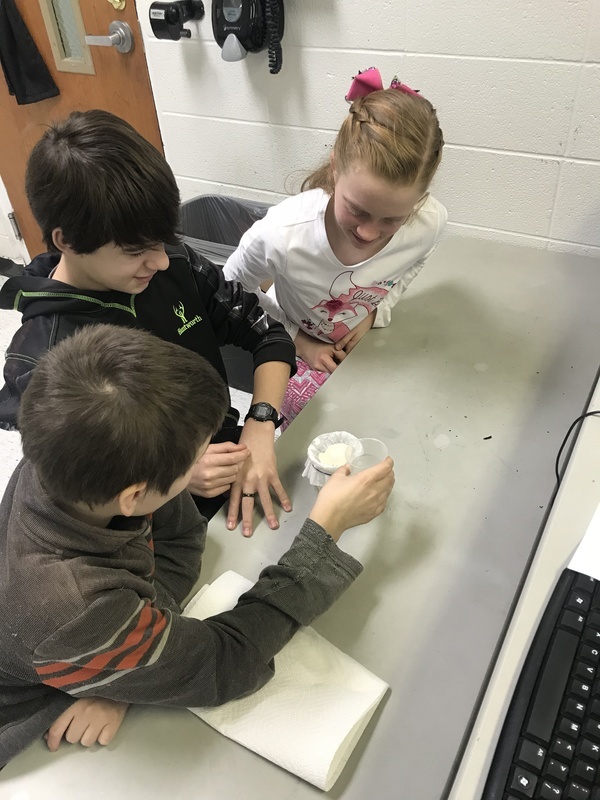 Students poured water over each sample and timed how long it took the water to seep through.